This week is perfect for appetizers! 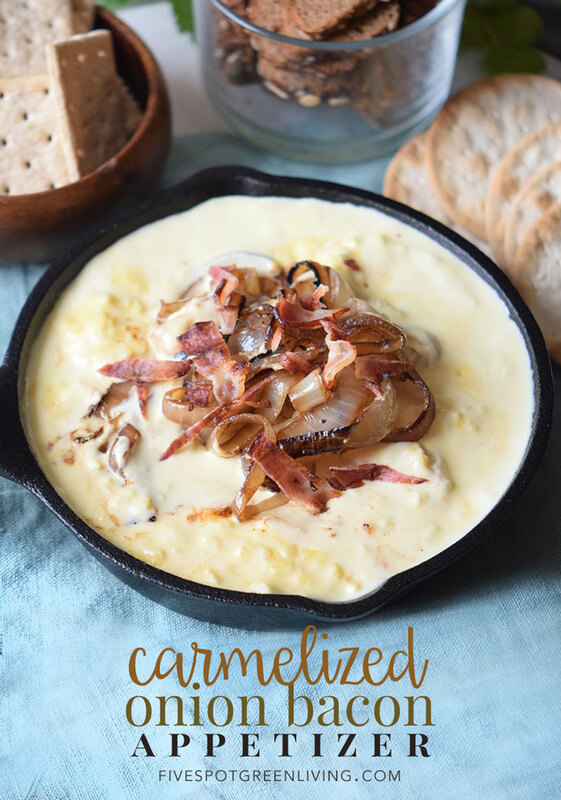 My parents always liked to have a day full of appetizers on Thanksgiving and this Onion Bacon Dip Appetizer Recipe is perfect for a pre-turkey meal. Here’s something different than the usual onion dip with potato chips – shake things up a bit this year! This and more fabulous appetizer recipes can be found over at the complete healthy appetizers index! Okay, what’s better than cheese, cream, onions and bacon? Add some crackers or veggies to go with it and you’ve got a winning appetizer that’s such a unique crowd-pleaser! You can lighten it up and make it healthier by using 1/3 fat neufatchel cheese and nitrate-free turkey bacon. I promise you won’t notice the difference! Yum! Hubz and I like to celebrate the holidays with yummy snack-style foods rather than big meals. This sounds wonderful! This is great. My husband wants to go on a diet. I’ll have to add this to my cookbook. I have an aunt who is a dip making queen and I can’t wait to share this one when I see her for the holidays. Looks delicious! 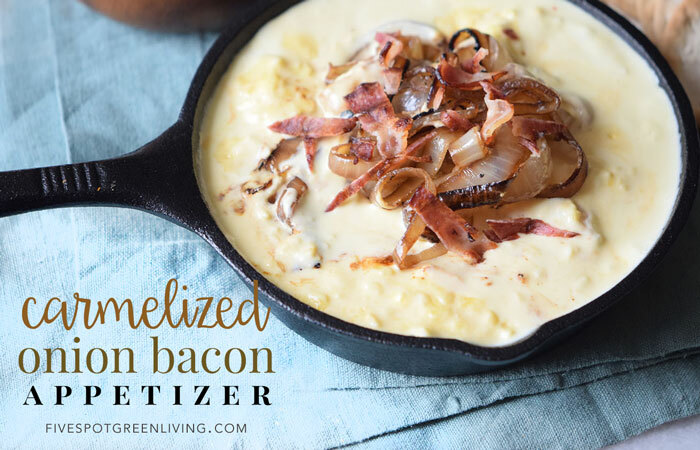 The Onion Bacon Dip Appetizer Recipe is amazing! It is easy to use and a really good dip to make for the Holidays and serve crackers. I am going to make this recipe. Thanks for sharing! I’m a sucker for dips. And I love caramelized onions! Pinning! Holy Cow… that is really all I have to say about this. I totally blew my diet, but who cares?? This was amazing and I am going to make it again for the Super Bowl! Yum, yum! This reminded me so much for food that we’d had in France last time we skied that I had to make it when it was snowing recently as the kids wanted Ski Trip Food. They and I LOVED it, we won’t be saving it just for when it snows though we’ll be trying this again in the very near future.